There might be some very empty poker rooms in the run-up to the 2013 World Series of Poker in Las Vegas considering there will be not one, not two, but three major online poker series running from April to May. 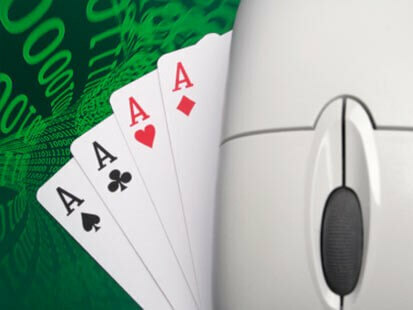 The biggest series is the Spring Championship of Online Poker (SCOOP) at PokerStars, one of the largest online poker tournament series every year, but two other sites will be hosting their own tournament series, the Pokerfest III series at Party Poker and the iPoker Online Poker Series IV (iPOPS) tournament series at the iPoker Network. This year’s PokerStars SCOOP tournament series will take place from May 12th through May 26th, and will consist of 42 or 126 events depending on how you look at it (each event is played at three different buy in levels). The 2013 SCOOP schedule hasn’t been finalized yet, but judging by last year’s $65 million in prize-money, the 2013 running will be one of the biggest online tournament series of all-time. The Main Event will take place just before the WSOP kicks-off and will feature a $109 “low” buy-in Main Event; a $1,050 “medium” buy-in Main Event, and a huge $10,300 “high” buy-in Main Event. Party Poker’s third Pokerfest tournament series will take place from April 21st to May 5th, pitting Pokerfest III head-to-head against iPoker’s iPOPS series which will run on the same dates. Pokerfest III will feature a total of 64 tournaments with $4 million in guaranteed prize-money up for grabs. Like the SCOOP series, each event at Party Poker will feature different buy-in levels, with buy-ins for some events measured in Party Poker points. The Pokerfest III Main Event will be a $640 buy-in No Limit Holdem tournament with a guaranteed prize-pool of $1.5 million. iPoker was smart not to challenge PokerStars for tournament players, deciding to host their iPOPS IV series a couple weeks before the 2013 SCOOP series, but they are willing to go head-to-head with Party Poker, so from April 21st through May 5th the iPoker Network will host their fourth iPOPS tournament series running concurrently with Party Poker’s Pokerfest III. iPOPS IV will award some $1.5 million in guaranteed money and the series will feature a total of 300 tournaments (15 per day), with the series segregating their lower buy-in events at the beginning of the iPOPS, building up to the higher buy-in events which will occur during the final week of April 28th to May 5th. The iPOPS Main Event will be a $215 buy-in tournament with a guaranteed prize-pool of $500,000.